This month, three leading organizations in Utah’s arts and culture scene presented programs: Repertory Dance Theatre’s Mosaic, NOVA Chamber Music Series’ Royal Musings and Spy Hop Productions’ 16th annual PitchNic premieres. Reviews of all three programs are presented. It took 93 minutes of dance to create the opulent mosaic of movement that constituted Repertory Dance Theatre’s (RDT) latest concert. 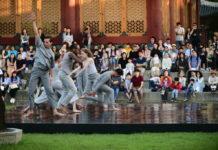 While the company’s dancers performed roughly one-third of the work on the Mosaic concert, seven local dance groups representing cultural traditions from around the world augmented seamlessly the thematic efforts of showing dance as humanity’s prime connector for its most fundamental activities. In fact, Mosaic was a tremendously effective programming concept to bring new audiences into the accessible realm of contemporary dance. Audience members in the Jeanne Wagner Theatre of the Rose Wagner Center for Performing Arts responded enthusiastically, rounding out the event with a standing ovation. The program comprised more than two dozen pieces or excerpts organized into categories of ceremonial, warrior, women’s, courtship, work and community and celebration dances. It was an absorbing, entertaining approach to the elemental points of dance history and culture, juxtaposing some of the oldest movement languages with historical and 21st century works that were inspired by just as deeply rooted cultural forms of dance. The program’s first segment, featuring ceremonial dances, opened with the INFR Dance Troupe, which set the prevailing tone for the evening with the Native American grass dance for men and the jingle dance for women. Drums and chants in the accompanying sound track punctuated the exhilarating athleticism that characterize modern practices of Native American powwow dances. As well, in their two other appearances during the concert, dancers Adrian Matthias Stevens, Shyanna Leonard and Sean Snyder, attired in stunning fashion, kept a rapt audience. From Cambodia, the Khemera Dance Troupe offered a most literal rendering of a dance (Robaim Makar) asking Makar, the mythical sea serpent, which represents life-giving and life-sustaining powers of the waters. The dancers used fans that imitated convincingly the sea creature’s scales and the way it moves. The ceremonial segment closed with RDT dancers performing Chant, a work that RDT alumnus Tim Wengerd created during the late 1960s. 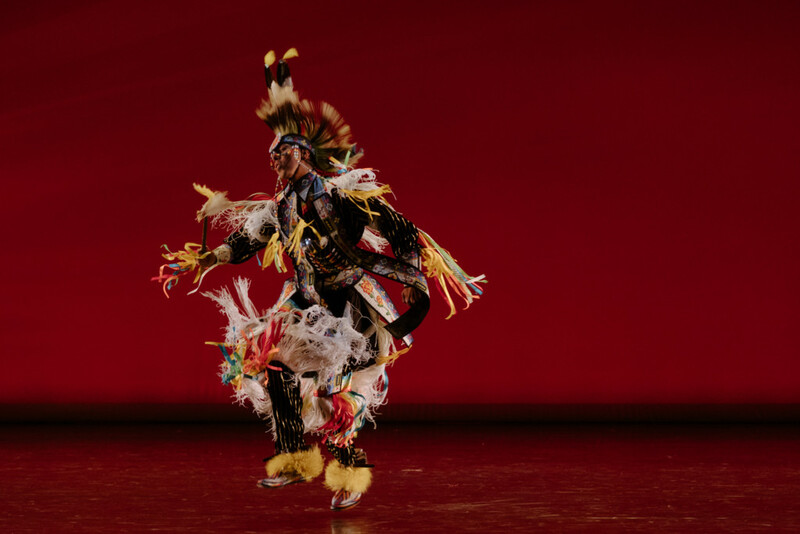 Wengerd, who was raised in Albuquerque and became familiar with Native American culture, set the work not particularly as an authentic dance per se but more as a work inspired by his own reactions to the actual rituals of the culture he observed. The dance movement reflects the Pueblo tradition of treading, where the steps are vigorous, consistent, repetitive poundings of the floor with the heels of the foot. 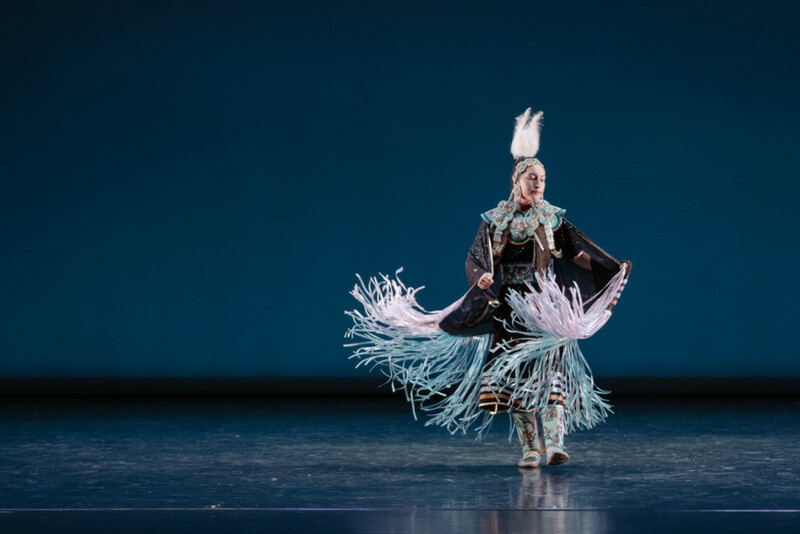 The warrior dance segment was even more diverse, opening with the INFR Dance Troupe’s war bustle dance which reflects the Diné horse culture. Many of the fancy dances were created for practical reasons as the American and Canadian governments, at one time, had outlawed public performances of traditional religious dances, which then were reserved for private tribal occasions. Native Americans created these fancy dances with colorful regalia and movement tricks that have become a staple at many powwow performances. The Polynesian war dance by the Malialole Dance Company was an effortless segue, as well as the 1928 warrior dance by Michio Itō, the Japanese-born choreographer featuring RDT’s male dancers (Efren Corado Garcia, Daniel Do, Dan Higgins and Tyler Orcutt). Ballet Folkloricio de las Americas, one of the oldest Latino dance groups in Utah, made its first appearance with Ama Amazonas (Love the Amazon), a dance believed to have originated during the Inca expansion to southern Bolivia. Tobas referred to the name given to every native inhabitant of the Amazonian highlands and valleys and the dance emphasizes the respect for keeping the natural environment of the Amazon as undisturbed as possible. Likewise, Dionysios Dance made its first appearance in the evening with Pousetnitsa, a war dance from Macedonia. And, the men did not disappoint with movements that often required them to drop to their knees. The segment closed with RDT dancers wowing the audience in Steppin’, a 2003 work created by local choreographer Natosha Washington. Tight in form and flair, the dancers really felt the groove of clapping, singing, chanting and stylized movements. The phenomenon of Steppin’ dates to Africa and has long been a fixture of African and Black communities. It is an incredibly versatile art form and RDT manifested many elements in its presentation. One of the evening’s most memorable highlights came in the opening dance of the women’s segment with Solange Gomes (the bailaora) and John Major (guitarrista) performing the standout Soleá of the flamenco tradition. Gomes and Major are part of Tablado Dance Company. Go to any dance hall, bar, or even on the streets of Andalusia in the south of Spain, and it is likely that the dance will be performed. 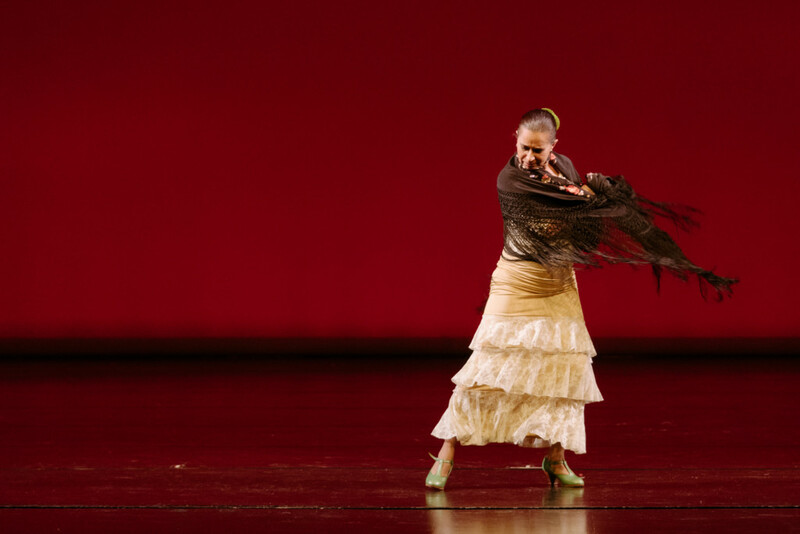 Gomes, wearing a beautifully crafted shawl (the manton) conveyed the full extent of the dance’s body language. In some respects, the dance is a gesture of defiance and protest. The rhythm and the expressive gestures and eye contact emphasize the artist’s independence. The flamenco dancer is incorruptible and inextinguishable. Clothing appurtenances figured prominently in the following two women’s dances: Scarf Dance, a work created 100 years ago by Ruth St. Denis, and the Shawl Dance, the female version of the Native American’s fancy men’s dance. Featuring the women dancers of RDT (Jaclyn Brown, Lauren Curley, Elle Johansen and Ursula Perry), the work is a cascading visual treat as the dancers recreate the imagery associated with ancient Chinese silk sleeve and ribbon dances. Meanwhile, Leonard from the INFR Dance Troupe, dazzled with symmetrical and balanced steps, while twirling the shawl in movements that often resembled a butterfly in flight. Rounding out the selection of women’s dances were a simple, elegant presentation of Nu Chibana, an Okinawan folk dance from the late 19th century about demonstrating love, and Ikariotikos, a dance from one of the most pristine Aegean Sea islands. A quartet of Utah Okinawa Kenjinkai dancers used castanets called youtsutake in its performance, which added good color to the dance. The women from Dionysios Dance did a commendable version which originates as a simple taproot pattern and then a series of nine steps in the classic 4/4 time of a syrto. The second half opened with an exuberant performance by RDT of Yankadi and Macru, courtship dances from Guinea in West Africa. The company brought out the flirtatious aspects, accompanied by a trio of drummers (David Herman, Tomothy Butler and Keshav Sarin) playing the traditional Guinea rhythms. The dance was staged by Rosie Banchero who learned the folk dance movements for her mentor in Guinea, Youssouf Koumbassa, one of the world’s leading authorities in West African dance and drum styles. 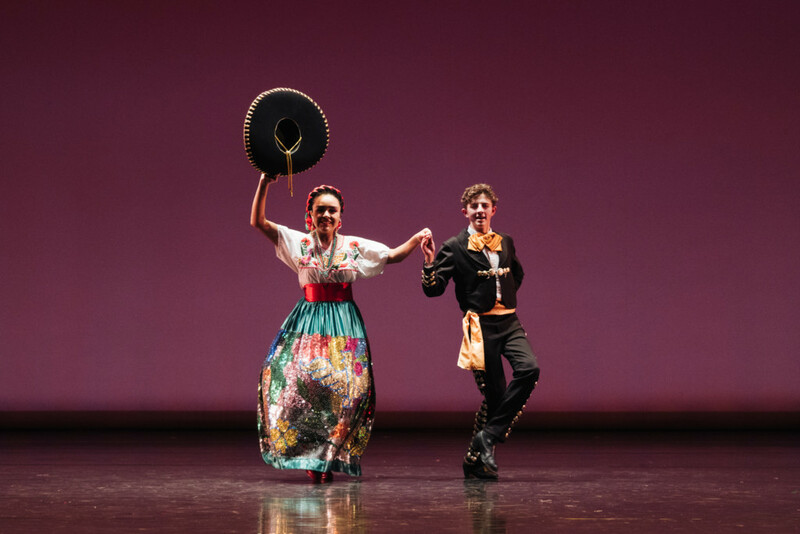 Other courtship dances included a duet from the Ballet Folklorico de las Americas, in a witty, coquettish interpretation of Jarabe tapatio, the Mexican Hat Dance with music that rang with familiarity to the audience. RDT dancers then returned to the stage, once again displaying their exceptional versatility in a rousing Lindy Hop, choreographed by Elaine Grenko, who is on the Brigham Young University dance faculty. Utah’s dance culture offers a deep bench of talent in so many forms and ballroom dancing is certainly among them. 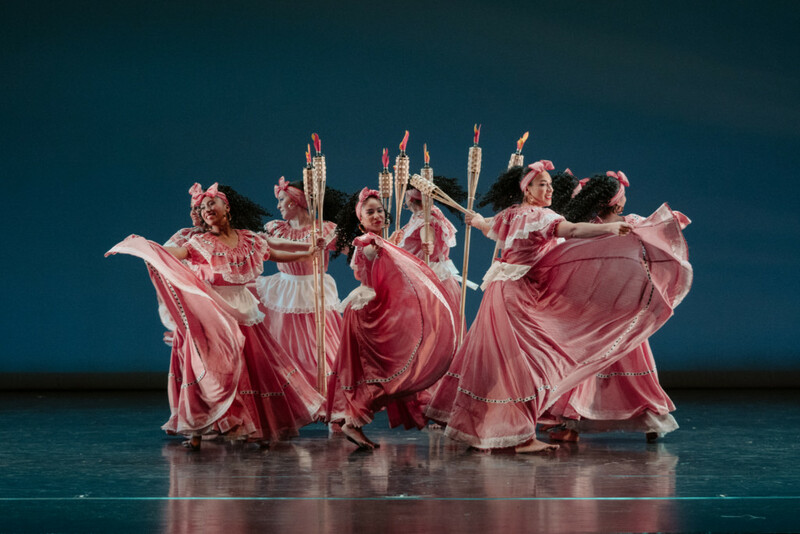 Two dances inspired by work followed, including Ballet Folklorico de las Americas’ El Pescador (The Fishermen), a dance representing the great cumbia tradition which has its African roots. The men go to sea and return to women who tease the men and give them a half-serious hard time. This dance is simple but quite subtle with occasional hints of salsa, as the women move almost as if they are floating while the men jump and move with some tension in trying to win the women’s love. RDT’s men returned to the stage with Ted Shawn’s Cutting the Sugar Cane, a work the legendary choreographer premiered in 1933 after being inspired by watching field workers in Cuba during the late 1920s. 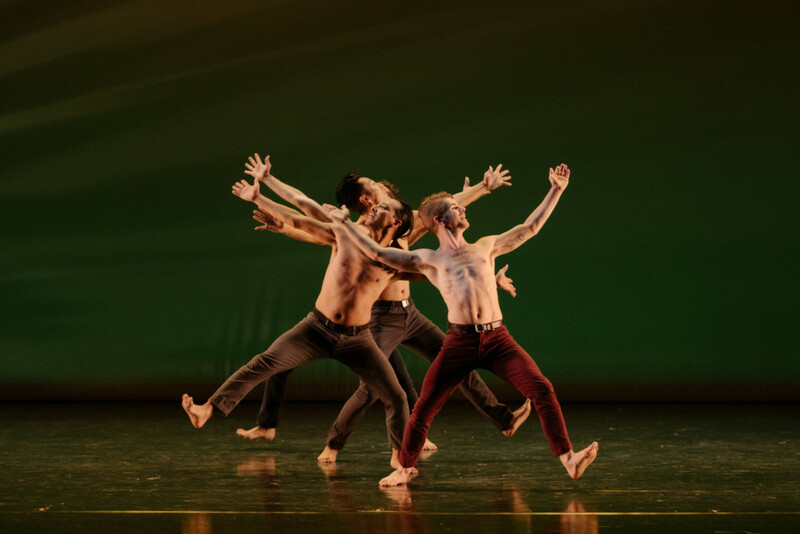 The choreography captures the realism of manual labor, with the dancers using sweeping whole body movements and the arms move as if they are the cutting tools the men use in the field. What intrigued most about this particular performance was how the men translated a classic piece into a timeless interpretation with sharper contemporary relevance. This was, of course, informed by their performance last month of Donald McKayle’s Rainbow ‘Round My Shoulder, a work that came a quarter of a century later and that told the story of a Southern chain gang. The closing segment of the program built to a festive close. 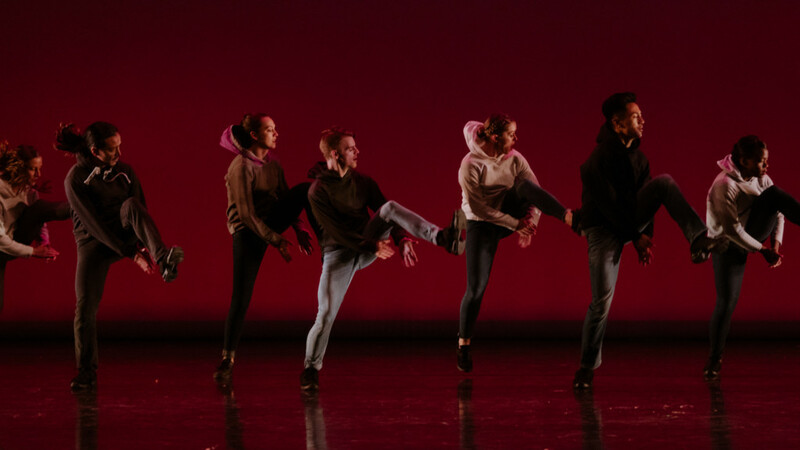 RDT returned to the stage with a small excerpt from Dabke, the Zvi Gotheiner work that builds upon a basic folk dance that is integral to the culture of many Middle East countries. In recent years, the company’s performance of this work has been a highlight of concerts – one of the best signifiers of how this company has set the bar for excellence in its work. Malialole returned with a series of South Pacific dances, including the irresistibly ebullient stage presence of the evening’s three youngest performers. Performing Kritiko Syrto, which originated from Crete, Dionysios Dance put on a wonderful display of movement that follows a slow-quick-quick pattern in rhythm. 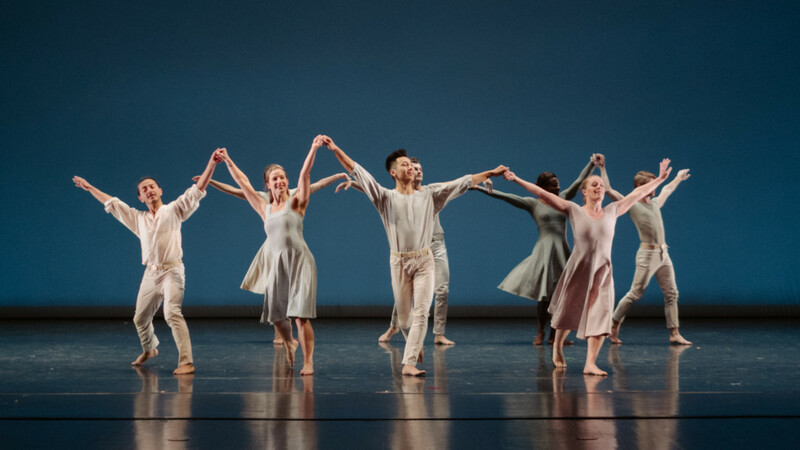 Closing out the concert was RDT performing an excerpt from Chairs, an evening length work by Gotheiner that the company first performed 20 years ago. It was a fitting conclusion because the work embodies a transition from one cycle in life to another. The mosaic has been created and now the time has come to move onto the next cycle of artistic expression. RDT’s current season celebrates the theme of Manifest Diversity and Mosaic was a sincere delight in every cultural tile added throughout the evening. Before the Nov. 18 concert, NOVA Chamber Music Series had presented very little music from British composers, especially in the past decade. But, Royal Musings, its all-British offering, was a more than gratifying musical experience. There was an acute, wise and incisive take on each of the concert’s works. Opening the program, the string quartet (Karen Wyatt, Alex Martin, violins; Elizabeth Beilman, viola, and Walter Haman, cello) performed Henry Purcell’s Chacony in G minor, Z. 730 in the famous arrangement made by another great British composer, Benjamin Britten, with the right Baroque features. The arrangement clarifies for the performer how certain elements such as articulation, bow directions and dynamics should be handled to approach an authentic Baroque sound. Many of these elements were not written in the scores of the period (Purcell wrote this at the age of 17 in 1676-1677). The same quartet, with violins switching parts, returned for Imogen Holst’s Phantasy Quartet, a 10-minute piece for which the young composer won the William Willson Cobbett Prize in 1928, at the age of 20. This is a characteristically English sounding piece, but with mature writing that belies the composer’s youthfulness at its writing. The inner voice parts (the second violin and viola) are gorgeous in tone and the first violin part is a soaring gem. The 21st century made a 10-minute appearance in the program with Court Studies from The Tempest, which Thomas Adès excerpted from the opera he wrote with Meredith Oakes and which premiered nearly 15 years ago. These six miniature character studies are marvelous for how a contemporary composer repositions the royal court characters in the Renaissance time. The work is scored for clarinet (Lee Livengood), violin (Alex Martin), cello (Rainer Eudeikis) and piano (Jason Hardink). Adès has a fine handle on transparent writing which allows each instrumental voice to come through clearly, particularly in the final section, The King’s Grief. It was a performance of eminent justice to such fine writing. Rounding out the first half was Eudeikis and Hardink on Britten’s Cello Sonata in C Major, Opus 65, a work the composer wrote in the early 1960s for famed Russian cellist Mstislav Rostropovich. 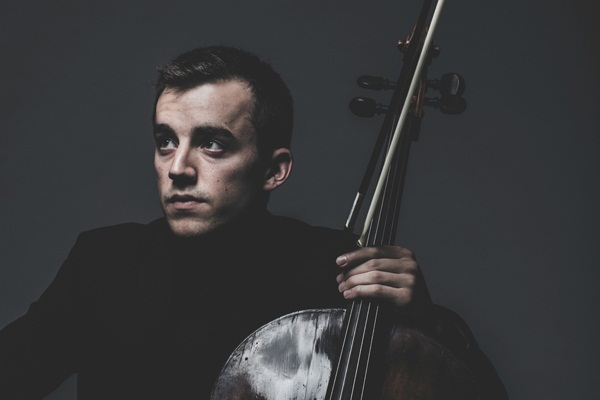 This was the first of five solo works for cello Britten would write and this five-movement sonata incorporates virtually every possible instrumental effect. The impact was immensely pleasing from the opening notes of the first movement (Dialogo), matching up to Rostropovich’s own description of it as a sweet, intricate conversation between two musical voices who cherish their friendship. The second movement, with the cello playing pizzicato, was a bustling romp that alternated between witty and dark moods while challenging the cellist to maximize the resonance of the various plucking techniques. The Elegia, third movement, produced some of the concert’s most heartfelt moments while the fourth marked Marcia immediately switched up mood and tempo. And, Eudeikis put on quite a display with the tremendously difficult artificial harmonics of the movement. The adventure segued into the final movement marked Moto Perpetuo, yet again featuring the effects of saltando and ricochet bowing along with a flowing melodic line. It’s a beast of a sonata, as is all of Britten’s writing, but Eudeikis and Hardink shined in every movement. For the second half, NOVA proved why British humor always is a unique commodity. There is a peculiar affinity for nonsense and the absurd but yet it never seems ridiculous. A work conceived in the 1920s and finessed further in later decades, Façade was a collaboration of composer William Walton and poet Edith Sitwell. Sitwell wrote a passel of short absurd poems that stress rhythm and onomatopoeia and barely anything else. Set to music, which Walton wrote in 1922 at the age of 20 (Sitwell was 15 years older than him), Façade emphasizes the sonic nature of the poetry as a rip-roaring bit of entertainment originally intended for the salons and mansions of the time. 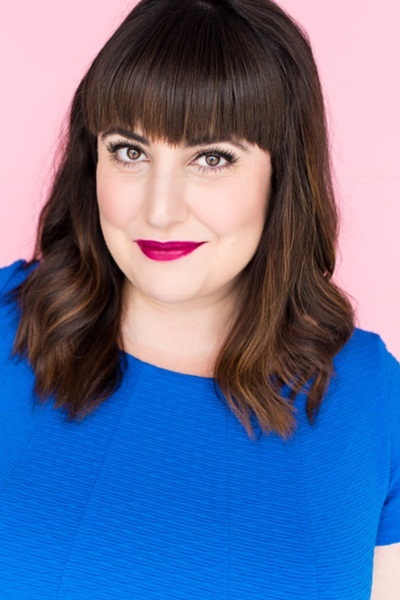 The first public performances outraged audiences and critics but the work has survived and is now appreciated for its solely entertaining purposes. As reciter, Olivia Custodio brought all of the anticipated elements to the forefront, British accent included. Given the rapid pace of the work, NOVA projected subtitles of Sitwell’s poetry as they were recited. And, with Conner Gray Covington conducting a six-piece ensemble, the musicians showcased Walton’s excellent writing. They included Lisa Byrnes, flute, piccolo; Lee Livengood, clarinet; Daron Bradford, alto saxophone; Travis Peterson, trumpet; Walter Haman, cello, and Keith Carrick, percussion. While Façade is pure fun, one should not discount the quality of the music. Walton was not a particularly prodigious composer but his oeuvre has earned praise, especially for the film scores he composed for several of the best films ever made of Shakespearean classics. In this early work, Walton handled many forms well and with the exception of a hornpipe and the pasodouble tango, which parodied a popular dance hall song of the time, all of the music is original. The musicians stood out, especially in the dance sections – most notably, the polka and tarantella. Savoring the delights of Custodio’s rapid-fire recitation and the sinewy effects of the chamber ensemble, one can see how Façade put the perfect ending point on an afternoon of royal musings. Me and Michael. Spy Hop Productions’ PitchNic. The recent 16th annual PitchNic premiere, featuring four short films produced by student teams, confirmed why this program is a signature centerpiece for Spy Hop Productions’ youth media curriculum. 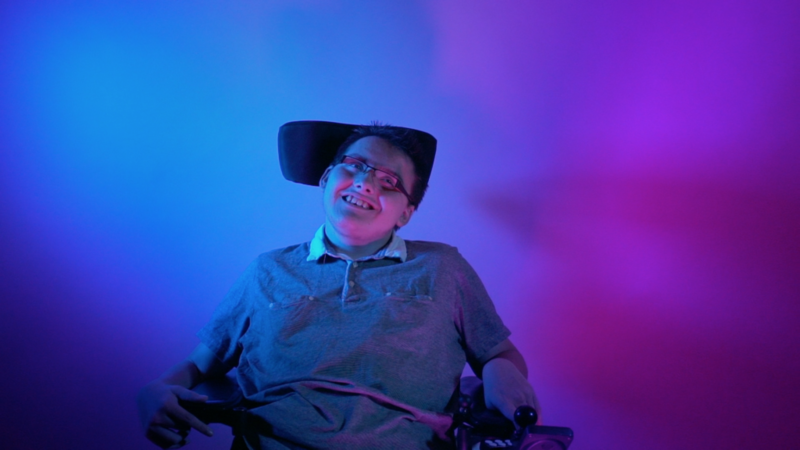 Both documentaries and both narratives are poised to find their path on film festival circuits. As mentioned previously at The Utah Review, more than nine out of ten films have screened in at least one film festival and many have won awards in local, regional and national juried events. Earlier this year, Dead Air, which premiered at the PitchNic 2017 event, won Utah Short Film of the Year honors in the Utah Arts Festival’s Fear No Film program. And, one of this year’s film will be a nominee for the honor in 2019. There were several notable points of departure in this year’s films, as mentors Paige Sparks (documentary) and Colby Bryson (narrative fiction) challenge students to raise the bar even higher than what their predecessors have set. 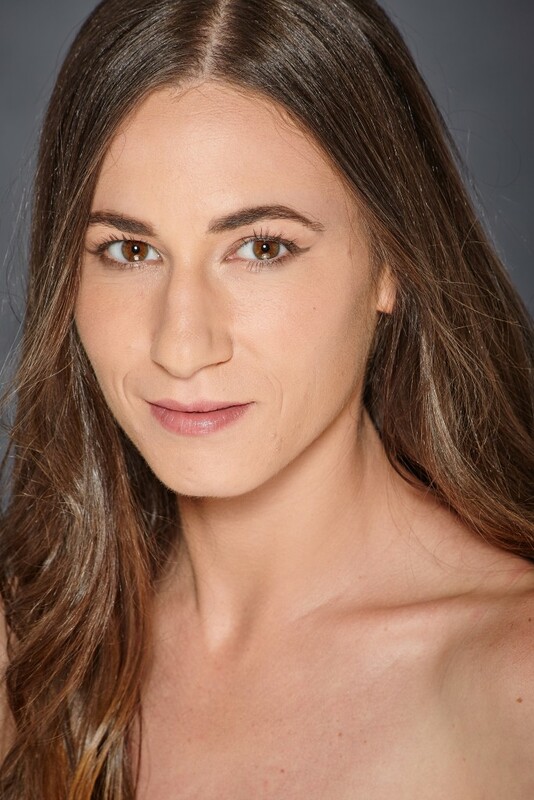 In both narrative features, Miguelito (Steven Uribe, Burke Harold and Jackson Espey) and Me and Michael (Bayleigh Elliott, Solana Hansen and Wiley Adams) were based variously on personal stories and experiences of their principal creative participants. Miguelito, about a teenager who tries to put distance from the strong Mexican cultural identity of his grandfather, also was the first bilingual narrative feature in PitchNic’s history. Me and Michael was framed as an experimental thriller about emotional abuse and anxiety. Miguelito thoroughly charmed the audience at the Jeanne Wagner Theatre at the downtown Rose Wagner Center for Performing Arts. Uribe, incidentally, was part of the team that produced Dead Air last year. The title refers to a doll by that name. The film opens with the elderly man trying to calm his grandson when he was a fussy infant (also, the first PitchNic film to feature a bawling baby who was a month old at the time of film). Miguelito represents the cultural and communication connections between the boy and his grandfather. Sanguine. Spy Hop Productions’ PitchNic. However, in his teen years, the boy starts to withdraw from his grandfather who wears his cultural pride on his sleeves. The film sings authentically with a cast that happened to include Uribe’s grandfather who essentially plays himself. Especially noteworthy is how the dialogue moves between English and Spanish mirroring effectively the realities of which language family members choose to communicate with each other depending upon the circumstances or event in a specific moment. In Me and Michael, there is a subtle, mature sinister vibe that permeates this story about mental health. This is a solidly acted production with wisely chosen symbolic props that play up the tensions of anger, abuse and anxiety without making them feel gratuitous. The result is an impressive testimony to the nature of the PitchNic experience, where the mentors challenge the students to be conscientious editors who decide the breadth and magnitude of the elements they need to convey their story arcs. 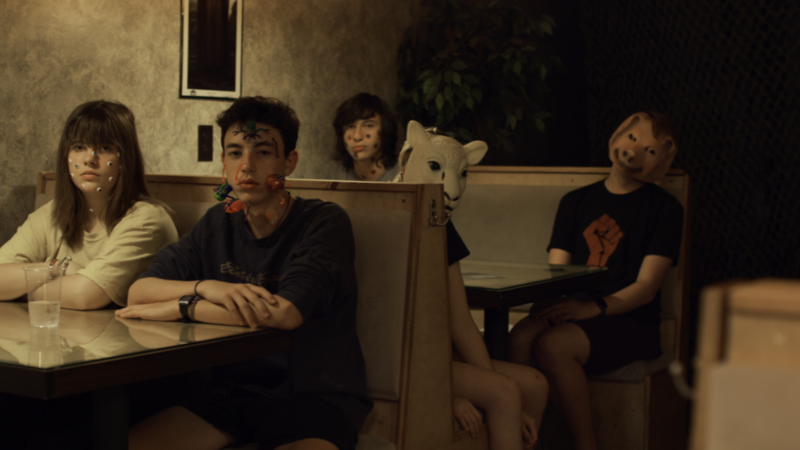 In the documentary shorts, the young filmmakers opted for character-driven narratives in which controlling the story path resides less in the director’s hand than on the subjects. In I’m Human Too (Jonathan Landeros, Jaimy Madisen and Jeff Morales), the emotional arc associated with racism is emphasized in the stories of Francisco, an undocumented immigrant from Jalisco in Mexico who has been in the U.S. for nearly two decades, and Vicky Chavez, the Honduran immigrant who has been living at the First Unitarian Church in Salt Lake City since January with her two children. 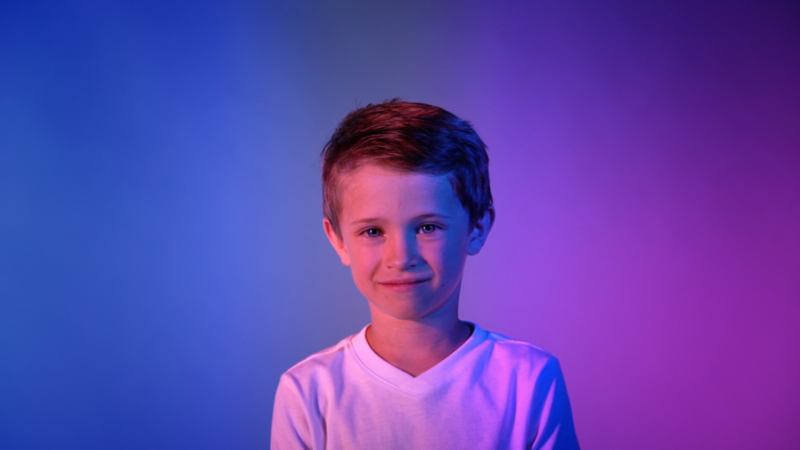 Likewise, in Sanguine (Cade Langsdon, Jaimy Madisen and Jeff Morales), a gentle, playful emotional arc adds potency to the understated stories of a six-year-old with kidney disease brought on by Type I diabetes and an 18-year-old man with cystic fibrosis and cerebral palsy. Typically, many makers of short documentaries, especially those running under 20 minutes, take an “anything goes” approach to captivate the audience immediately. However, as both documentaries differed in topic and relevant issues, they also focused on the challenge of humanizing the individuals so as to eliminate that sense of “being the other.” Francisco, for example, is forthright, sincere and proud. He has children who have been born in the U.S. And, in his willingness to put his story on a prominent platform given the dangerous politic rhetoric surrounding immigration currently, he says that he bleeds red, just like everyone else. Similarly, the story of Chavez, a Honduran immigrant who is well educated and who worries constantly about her children living a routine life undisturbed by the fears of confinement and deportation, is told without creating a distracting external conflict. In Sanguine, the filmmakers, who went to great efforts to gain the trust of their subjects as noted in a preview published in The Utah Review, do a solid job of getting the audience to fall in love with their two characters who talk about the joys and hobbies in their lives. The strength of Sanguine comes from the young production team’s resolve to find a specific narrative arc and not let circumstances passively dictate how the stories of these two young people should be told. The Utah Film Commission is one of the event’s major sponsors. A new class of tudents already has begun work for the 17th annual PitchNic premiere, which will take place in November 2019.